With due respect to the federal government of Nigeria,the president,the vice president the Senate the house of assembly we the software and hardware engineers of Nigeria have come together under a platform called *NMRPSHA* to tell the government and their agencies concerned to seriously look into what we the engineers are going through. 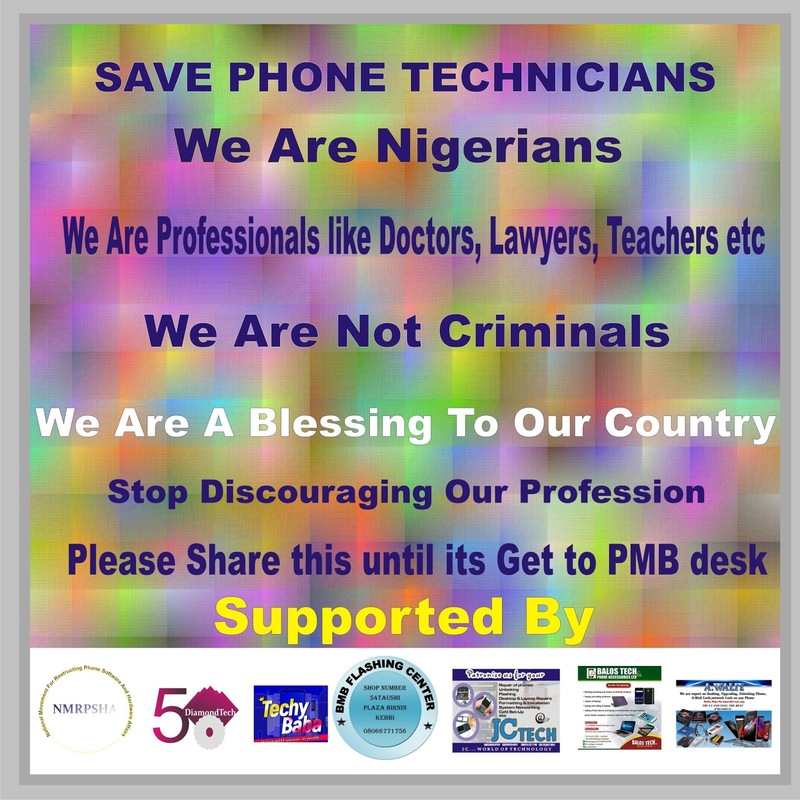 Firstly, phone repair have created many jobs and employment to Nigerians ...it have empowered the literate, the illetrate, graduates,family men and so on have benefited from GSM engineering. THESE have made them to focus imersly on their profession and hereby reduced crime and corruption in Nigeria. Our dear government....The manner at which the police force called SARS treat us is not mindly. Why will they just enter into our offices and get us arrested for flashing and unlocking phones? Can't GSM be legal in Nigeria? Our government please we are tired of these, we were never told that flashing, unlocking or repairing the security of phones are illegal. 'without GSM engineers how would the country forward communication'. Many of us have left these profession because the harassment is too much ...... Please Mr president help to encourage us and not allowing these officers to harrase us. Unbehalf of the 'NATIONAL MOVEMENT RESTRUCTION PHONE SOFTWARE AND HARDWARE AFFAIRS WE SAY ENOUGH IS ENOUGH'. 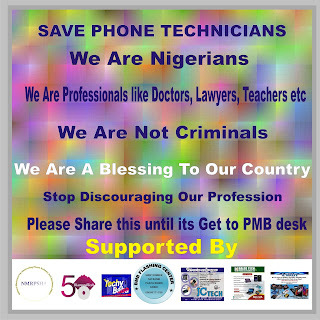 We are not thieves, we have never been told that unlocking and flashing of phones are illegal, stop treating engineers like a criminal, stop risking our careers, stop discouraging us , stop making us hate our jobs, this is what we do best and this is what we know how to do best, don't turn us to jobless dudes, don't turn us to thieves, don't turn us to ritualists. #Police should stop arresting engineers that unlock phones that are later discovered that were stolen, if we don't unlock them, there is no way you could track it, we deserve an accolade, stop embarrassing us, stop collecting unnecessary huge money on us, stop threatening us with jails, we do nothing bad , we will accept arresting engineers that buy fairly use phones that later discovered were stolen not those that unlock phones unknowing it was stolen, stop killing Nigeria as a Country, stop killing those that have visions, stop killing those that believe in hopes, #police injustice must be stopped. GRADUATES THAT ARE JOBLESS ARE AMONG US THAT DECIDED TO LEARN THIS AFTER 5 OR 6 YEARS IN SCHOOL, NOW TELL ME WHY YOUTH WON'T INVOLVED THEMSELVES IN YAHOO PLUS AND SOME OTHER RITUALS.